WATCH: Social media - blessing or curse? Independent Media has kicked off a restructuring process affecting multiple divisions, it confirmed to Fin24 on Thursday. It was as yet unclear how many jobs would be affected, Independent said. The company told Fin24 it had begun "a process of reviewing its workflows and aligning structures to streamline operations and optimise its efficiencies". The affected divisions are Lifestyle, Sport, Politics, Editorial Production and Live Editors. "As this is a legal process we have issued staff in these units with a Section 189 letter inviting them to consult with the company on how we can implement a leaner structure with smoother workflow processes," Lutfia Vayej, Group Executive: Marketing and Communication, said in a written response to Fin24. "We cannot predetermine the outcome and, therefore, cannot confirm the number of jobs which will be impacted by this process." A former employee of Independent Media, retrenched during a previous restructuring process, told Fin24 that according to a current employee, 40 or more people are said to be at risk of losing their jobs during this round of national restructuring. Both the former employee, whose identity is known to Fin24, and their source want to remain anonymous. 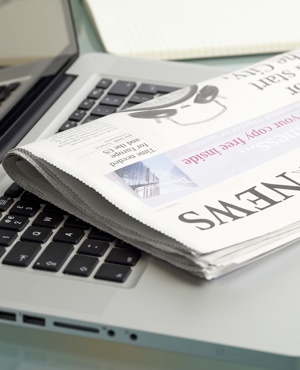 According to the Section 189 letter issued on behalf of Independent Newspapers – parts of which Fin24 has seen – the aim is for the restructuring process to be complete by 20 December. The letter also states that the company has considered several possible alternatives, but provisionally rejected these. The former employee claims staff were informed of possible pay cuts for those who survive the restructuring process, and that there will likely be no bonuses or increases next year, in a bid to turn the company around. "There are ongoing pressures on the sustainability of media businesses, forcing them to reduce their dependence on print revenues as their primary source of income. "The constant pressure on the media industry, with declining revenues, increasing costs, and the continued competition by overseas technology platforms, brings us to a point where we have to review our team structures and reorganise our work flows," the Section 189 letter states. "These tough trading conditions require that we streamline operations and work smarter if we are to stay in business. "Over the past two years we have transitioned our newsrooms from legacy print to multimedia, multi-platform content providers. Now the time has come to take the next step in crafting a lean operation that can meet the needs of a media organisation trading in a time of robust competition and continual disruption." The source told Fin24 that there had been a lot of stress at the company because of "rumbles of retrenchments, but no-one saw it coming this soon". * Fin24 reported on Wednesday that Media group Tiso Blackstar has claimed that it was approached by the Public Investment Corporation (PIC) in 2016 for "help with Independent Media". According to Tiso, the PIC was allegedly concerned about the running of Independent Media and was encountering difficulty in obtaining financial information from its executive chair Dr Iqbal Survé. This comes on the back of Surve's own claims that it was Tiso who "surreptitiously approached the shareholders of Independent Media, including the PIC, on many occasions to try and consolidate the newspapers of the two businesses". Tiso has denied this.